A Pharmacy Technician works under the supervision of a licensed Pharmacist to prepare and dispense medications, receive, set up, package, and label orders, manage inventory, mix drugs with parental fluid, file insurance claims, and attend to the daily administrative duties in a hospital, retail, or mail order pharmacy, clinic, or long-term care facility. 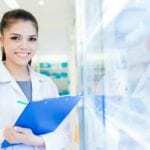 Pharmacy technician training programs vary in duration. However, the course content must emphasize the importance of accuracy and precision as well as the ethical and moral laws that govern practice. The content should also prepare students for success on the national Pharmacy Technician Certification Exam (PTCE) or Exam for the Certification of Pharmacy Technicians (ExCPT). Although national certification is not mandatory in some states, many employers expect it from new and existing employees in response to the expanding role of technicians. Nationwide, employment prospects for pharmacy technicians are excellent. According to the Bureau of Labor Statistics, the job outlook for the profession is expected to increase by 20% in the next decade, a growth rate that is faster than the average for all occupations. The pharmacy technician program at Lincoln Land Community College prepares graduates for their role as an assistant to a registered pharmacist. The curriculum will include classroom and practical training experiences in compounding and aseptic techniques, medical terminology, medication dispensing, inventory control, pharmacology, dosage calculations, pharmacy processes, and administration. Applicants must be 18 years or older, have a high school diploma or GED, have English proficiency and adequate understanding of algebra and arithmetic at a 10th-grade level, and be able to pass a drug test and criminal background check. The program prepares students for success on any of the two national certification exams: the PTCE or ExCPT. Classes meet Mondays and Wednesdays from 6:00pm to 9:45 pm for six months. Tuition costs $3,500 and includes books, lab fees, and materials. The Pharmacy Technician Program at Midwest Technical Institute prepares students for an entry-level position at a hospital or retail pharmacy. Qualified instructors use classroom instruction and practical experiences in the lab to prepare students for the clinical experience at a community pharmacy. Course modules include orientation to pharmacy practice, computer applications for pharmacy technicians, therapeutic agents of body systems, pharmacy law and ethics, community practice, computerized drug delivery systems, and pharmaceutical calculations. Other topics covered in the institutional practice module include institutional pharmacy practice, professional development, therapeutic agents of body systems, and intravenous admixture and sterile products. Students spend 754 clock hours in the classroom and lab. The 169-hour externship is the final phase of the program. Applicants must attend a personal interview, pay the registration fee, make arrangements for paying the tuition, and have a high school diploma. Health requirements include immunization (Hepatitis B, TB skin test, MMR, and Td). All immunization requirements must be completed prior to week 19 of the program. Students must also demonstrate good math and reading skills and satisfactory drug screen and criminal background history. Tuition for the 27-credit program is $14,630. Books and supplies cost an additional $270. Danville Area Community College seeks to give pharmacy technician students a broad knowledge of practice so they can become skilled in the preparation, dispensing, and storage of medications. Local pharmacist instructors emphasize the importance of accuracy and precision in the technical and administrative aspects of the job. 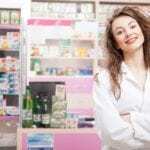 Through the use of pharmacy-related activities in the classroom, students will develop the knowledge and abilities to assume an entry-level position as a pharmacy technician. They will also be prepared for success on the national certification exam. The program is open for admission in the Spring and Fall semesters. Classes meet on Thursday evenings from 6:00 pm to 8:30 pm. Tuition for the program is $220 and must be paid at the time of registration.